Precision medicine and immunotherapy are changing the landscape of cancer treatment. The aim of precision medicine, sometimes called personalized medicine, is to match treatments to individual patients taking into account their genetic makeup, medical history, test results, and other distinctive characteristics. Unlike precision medicine, immunotherapy is a particular form of treatment, aimed at manipulating the patient’s own immune system to treat disease. Instead of applying a one-size-fits-all treatment, precision medicine’s mantra is to provide the right treatment for the right patient at the right time. T lymphocyte cells — a type of white blood cell and one of the components of the body’ s immune system — attached to a cancer cell. In precision cancer medicine for cancer, treatments may be matched to the genetic abnormalities of the tumor – changes in the DNA code that drive its uncontrolled, malignant growth. These DNA abnormalities in a patient’s tumor can sometimes be revealed by genetic testing or by DNA sequencing, such as in the Profile genotyping research program of Dana-Farber/Brigham and Women’s Cancer Center. Treatments designed to block the abnormal activity of cancer-related genes or molecular signaling pathways are often referred to as targeted therapies. 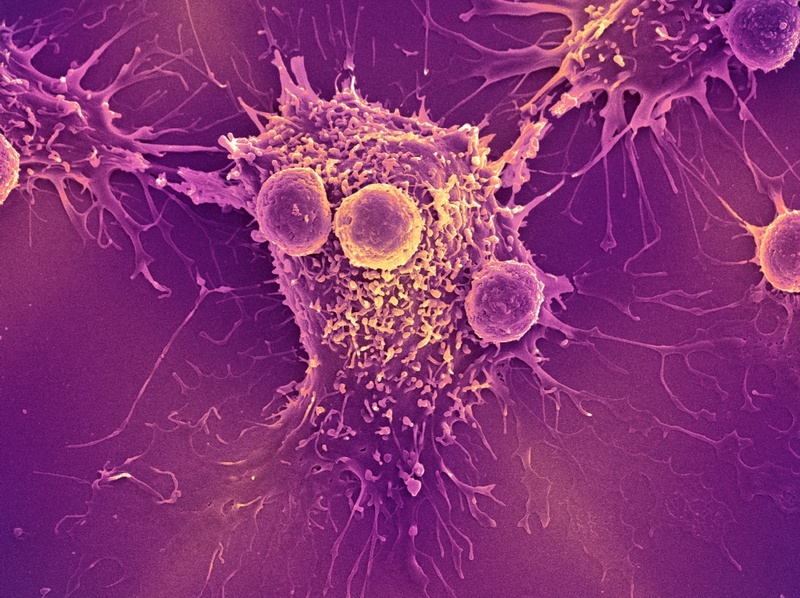 Cancer immunotherapy specifically is intended to improve the immune system’s ability to recognize tumor cells in the body and deploy T cells and other defenders against the tumor. Chemotherapy and targeted therapy directly attack and kill cancer cells. Immunotherapy, however, is not so much aimed at cancer cells as it is at stimulating or removing restraints on the immune system, which unleashes white blood cells called T cells against the tumor. This kind of treatment has proven effective for some patients with melanoma, lymphoma, kidney cancer, and other types of cancer. Spurring the immune system against tumors can have side effects when the immune cells attack normal tissues. Research is ongoing to improve immunotherapy and make it safer for patients. Both precision medicine and immunotherapy are treatment approaches that researchers believe have a great deal of promise to transform cancer care. But it’s too early to say if they are truly the “game changers” that everyone hopes for. For a small number of patients – such as those with chronic myelogenous leukemia (CML) treated with precision medicine drugs like Gleevec, or some patients with advanced melanoma treated with immunotherapy, these approaches have led to dramatic responses and potential cures. Much work needs to be done – and is under way – to understand the biology of why these treatments do and sometimes don’t work, and to broaden their application to more patients with a wide variety of forms of cancer. Learn more about immunotherapy and precision cancer medicine from Dana-Farber. So very helpful and information. What is the status of liquid biopsies? Have your research studies been extended to renal cancer?